Reducing the cost of mining operations is an important issue for mine developers and operators faced with an extremely competitive market place for mineral commodities. In many underground mines, access is provided via a network of interconnected underground tunnels, called declines. The miners and their equipment are transported to the mine face along the declines and then the ore is hauled back to the surface. The declines have to satisfy certain constraints so that the large haulage trucks can navigate them. The problem is to design this network of navigable declines so as to minimise the cost of both constructing the network and hauling the ore. Costs of development and operations in underground mines are so large that even a 100 metre reduction in the length of haulage paths can correspond to a $1M saving, when construction, ventilation, maintenance and haulage costs over the life of a mine are taken into account. The team has developed software tools to optimise mine layouts and these tools, which have been used in Australia, New Zealand and the United States, have been commercialised. Underpinning this new software is mathematical research which has led to significant advances in the theory of 3-dimensional navigable networks. 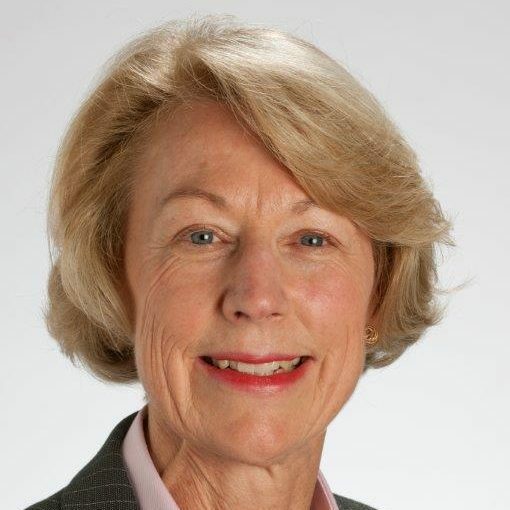 Professor Emeritus Doreen Thomas was Head of the School of Electrical, Mechanical and Infrastructure Engineering at the University of Melbourne; Associate Dean Research and Research Training and Adjunct Professor in the School of Mathematics and Statistics. She holds a BSc degree, from the University of Cape Town; Hons degree (Mathematics), University of Witwatersrand; and MSc and DPhil (Mathematics), University of Oxford. Doreen has successfully applied her fundamental mathematical research in network optimisation to underground mine design and her research has been supported by both the Australian Research Council and the mining industry. She was a founding director of a spin-off company MineOptima, through which her mining software has been commercialised. MineOptima was acquired by the leading global mining software company RPM. She has been recognised with a national teaching award for her contribution to engineering education and mentorship and is a passionate ambassador for women in science and engineering. She is a Fellow of the Australian Academy of Technology and Engineering and a Fellow of Engineers Australia.